CLEAR LAKE, Iowa --- Rolling Stone magazine has ranked the Surf Ballroom in Clear Lake among the top 20 of Best Big Rooms in America. The ranking, released Thursday, shows the Surf listed among other “Venues that Rock” selections such as Ryman Auditorium in Nashville, House of Blues in Chicago, and Radio City Music Hall in New York. That’s pretty heady stuff, agreed Surf Ballroom Executive Director Laurie Lietz. “We are very honored to have Rolling Stone Magazine recognize the Surf as one of the Top 20 Big Room Venues in America,” she said. 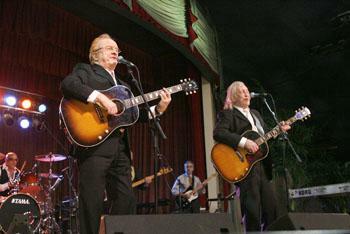 The listing was presented as second in a four-part series on great music venues. Rolling Stone polled 26 insiders and musicians — from top managers to Fall Out Boy's Patrick Stump — and came up with a list of “the nation’s coolest large clubs and theaters,” according to the magazine introduction. RollingStone said, “Many live-music theatres are older than this no-frills 1934 dancehall with a wooden floor surrounded by Fifties-style diner booths and (for some reason) palm trees. 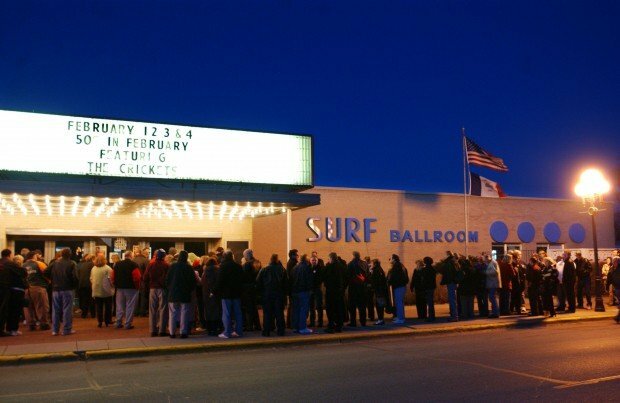 “But few other clubs have booked rock & roll since the beginning, from the Everly Brothers and Little Richard to Santana and Lynyrd Skynyrd to, today, Willie Nelson and Cheap Trick.” (Editor’s note: The early reference is to the first Surf Ballroom, located across the road from today’s Surf, built in 1948.) On Thursday, Chicago performed at the Surf to a sold-out crowd. Trocadero Theatre, Philadelphia; House of Blues, Chicago; El Rey Theatre, Los Angeles; Norva, Norfolk, Va.; Radio City Music Hall, New York City; Toad’s Place, New Haven, Conn.; The Tabernacle, Atlanta; Showbox, Seattle; Fox Theatre, Atlanta; The Wiltern, Los Angeles; Webster Hall, New York City; Beacon Theatre, New York City; Tipitina’s, New Orleans; Ryman Auditorium, home of the Grand Ole Opry, in Nashville; Stubb’s in Austin, Texas; The Metro in Chicago; First Avenue in Minneapolis; The Fillmore in San Francisco; and 9:30 Club in Washington, D.C.